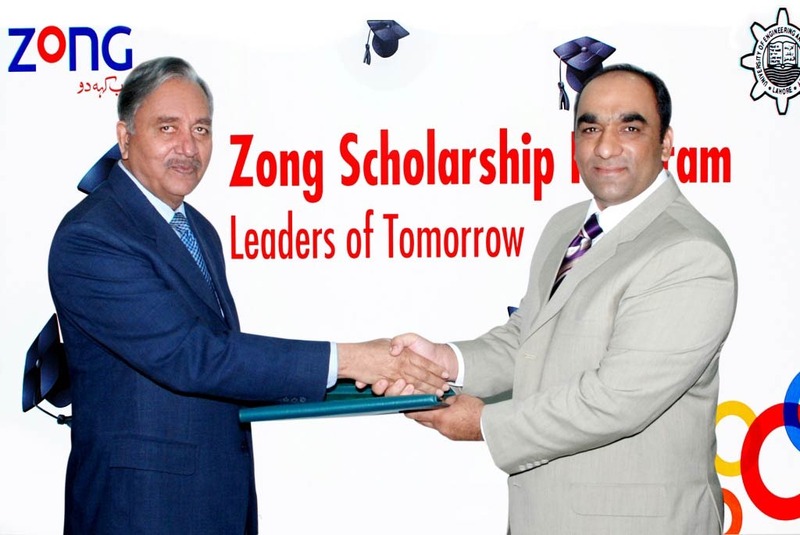 Zong continues its support of education in Pakistan with the ZONG Scholarship Program for the talented students. Picture shows Amer Siraj, Regional Director S&D, ZONG is presenting cheque to Gen (R) Muhammad Akram Khan, Vice Chancellor, University of Engineering and Technology of Lahore. If you happen to visit UET Lahore in recent times, you’ll get an impression that it’s ZUET (Zong University of Engineering & Technology). There’re more advertisement boards of Zong to bee seen in university compared to university road-signs & departmental boards.